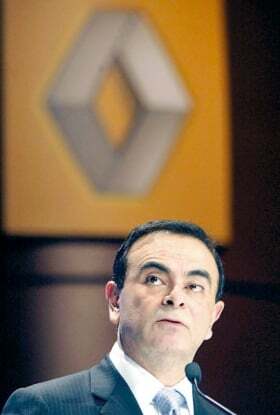 Renault-Nissan CEO Ghosn is optimistic. PARIS (Reuters) -- Carlos Ghosn, the CEO Renault SA and Nissan Motor Co., says "the financial crisis is clearly behind us," but added that the recovery would be gradual and take several years. Banking activity is returning to normal, it is possible to borrow at more favorable interest rates, people are beginning to invest again and stock markets are rising, Ghosn told Le Figaro newspaper in an interview. Ghosn said there were encouraging signs that the period of recession was more or less over in a number of markets but cautioned that there would not be a strong rebound in the immediate future. "We should first see a pickup in the United States and in emerging countries in the first quarter of 2010," Ghosn told the newspaper. An improvement in Europe will come "at the end of 2010 or the start of 2011," he said, adding that Japan would follow. Europe "should be at about the level of 2009 or slightly better" next year, Ghosn added.